The Jamaica XNews Newspaper - For Xtra News! The Jamaica XNews newspaper was perhaps the most popular smaller newspaper in Jamaica. The term XNews actually suggests "extra-news", which was one of the distinctive characteristic of this newspaper. 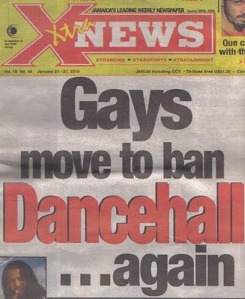 Since its genesis in February, 1993, the newspaper rose to capture a significant, and perhaps, a unique part of the Jamaican newspaper audience. It's users were drawn by it's thought provoking, unrefined and direct nature. It was published every week, and not only did it capture the everyday news, sports, entertainment and the latest happenings, it had a mouthful of gossip; It was extremely popular for that, and no one is excluded - regardless o f whether they were politicians, musicians, media personalities, entertainers or entrepreneurs. The newspaper had several sections that cater to the tastes of its readers. With attractive images and features this paper published each of its sections in such a way that it sells very well. One commendable, and distinctive, feature of the x-news paper was that it dug deep into the stories before it is published. The X-News was also highly involved in the community, sponsoring and awarding several local initiatives. It was a member of the CVM Group, which included, CVM TV and Hot102 FM. in the XNEWS Merritone Music 50th Anniversary Supplement, October 4-10? Listen this: "When the smoke cleared and the dust settled, only one man was left standing. The X-News ceased operations in late March (or early April) 2010. 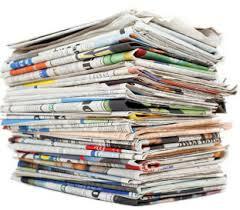 Return to Jamaican Newspapers fromThe Jamaica XNews. Return to My Island Jamaica Homepage from Jamaica XNews.